More chefs are being inspired by plant-based ingredients to meet changing dietary, societal and economic needs, showing that a salad need not be the one and only meat-free option on a menu. Whether you’re vegetarian, vegan or just need a break from meat, here’s a sampler of this year’s visionary vege offerings. Crack Vegan Baking: Vegan café Sweet Release’s baking workshop shows how you can use the brine from your canned chickpeas as an alternative to egg whites in every day baking. This brine – also known as aquafaba – is now being used by bartenders and bakers to get the same effect as using egg whites. Vegan Takeover: For one day only, Chow will be running a 100% vegan menu. The #ChowVeganTakeover puts a vegan spin on some of your favourite Chow classics (including cocktails) alongside some new vegan dishes created especially for the day. Spotlight on Vege: Hillside Kitchen & Cellar are running a series of multi-course Suppliers Dinners, with each shining a spotlight on a local supplier/producer. Some feature vegetarian and vegan menus: Fri 10 Aug with Lot8 Olive Oil (vegetarian); Fri 17 Aug with Peoples Coffee (vegan); and Fri 24 Aug with Cameron Family Farms (vegetarian). Plant-based Burgers: Some of the most innovative and inventive burgers I’ve had over the years have been vegetarian. This year’s vegetarian and vegan Burger Wellington offerings use ingredients like cauliflower and chickpea, smoked tofu, lentils and falafel as the stars of their burgers. The Botanist in Lyall Bay are renowned for their vegetarian and vegan menu, which has convinced even the most carnivorous of my friends that plant-based food can be interesting and packed full of flavour. Their Incredible Hulk Burger Wellington features a broccoli and pistachio patty with smoked vegan cheese, slaw, avocado and an apple and kiwifruit salsa verde. 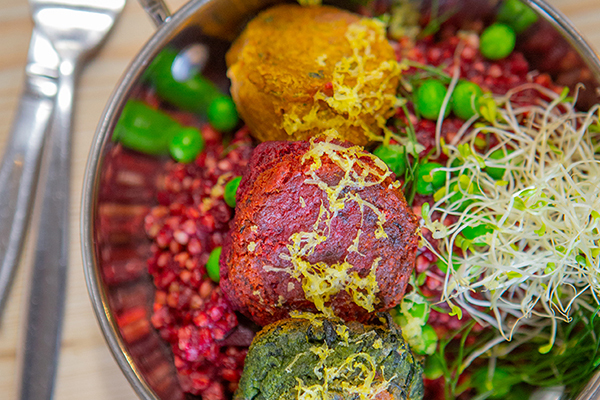 Meat-free Dishes: Seize have one of the most intriguingly named Festival Dishes – the Unicorn Beet Risotto, featuring a rainbow of falafel, complete with vegan cheese and vegetables. 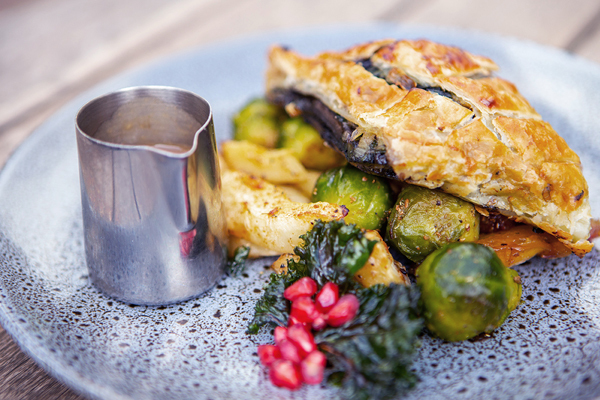 Other vege-friendly Festival Dishes that have caught my eye are newcomer Frenchie’s Drunken Nanny goat’s cheese and celeriac crêpes, Beach Babylon’s smoked Parkvale and wild mushroom stroganoff, and Southern Cross' mushroom "Wellington" ode to Christmas. The Vegan Expo: Need inspiration for meat-free Monday, or perhaps a day filled with yummy vegan food? Eleven years after launching in Christchurch, The Vegan Expo will hold its first North Island event at Southward Car Museum in Paraparaumu. Billed as “the culinary equivalent to Big Day Out”, the expo will showcase a wide range of stalls (including local favourites Dukes of Sandwiches and House of Dumplings), cooking demonstrations and inspiring talks, so you’ll leave with both your tummy and mind enriched - at an afforadable $5 a ticket! WIN A $500 VEGE-FRIENDLY VWOAP PRIZE PACK! Get your hands on the following goodies, from eateries offering up the vege goods and guarantee a great time this Festival.